An experience to enjoy. Experience the joy and love of bonding with your unborn child while viewing the 3D/4D ultrasound pictures. 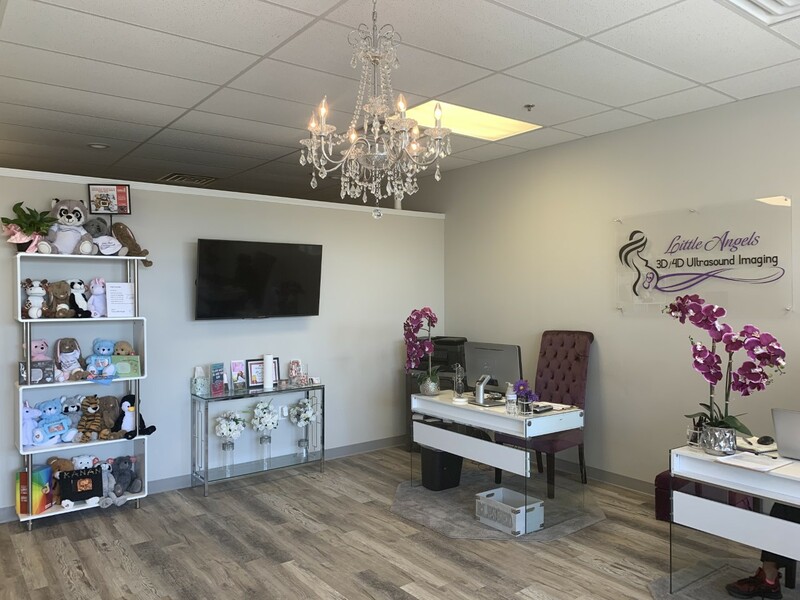 When visiting our McDonough location you will be amazed upon entering the office. The décor is warm and beautiful, and you’ll feel as if you have entered a cozy home-like environment. 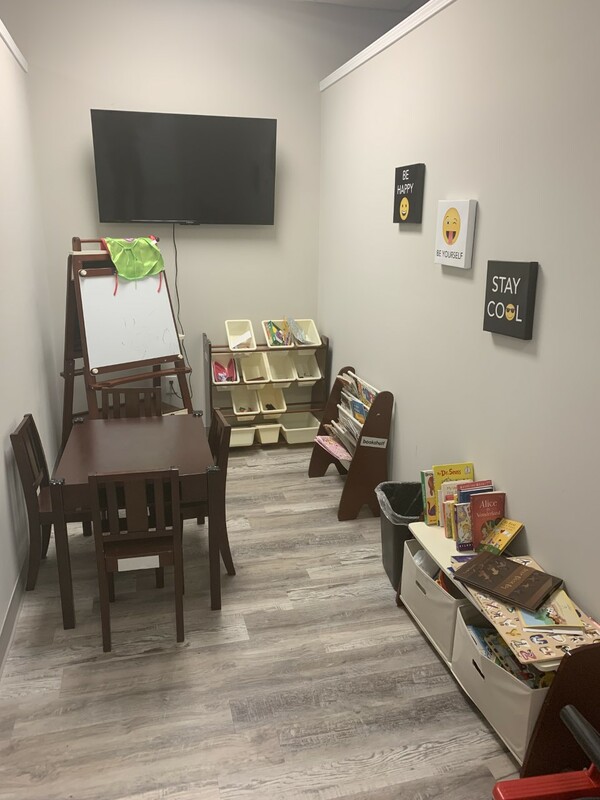 The sonogram room is equipped with a large plasma screen TV for viewing your baby during your sonogram session. Mom is lying on a comfortable bed and there is plenty of room for all of her guests to relax on luxurious couches while enjoying the music of her choice. 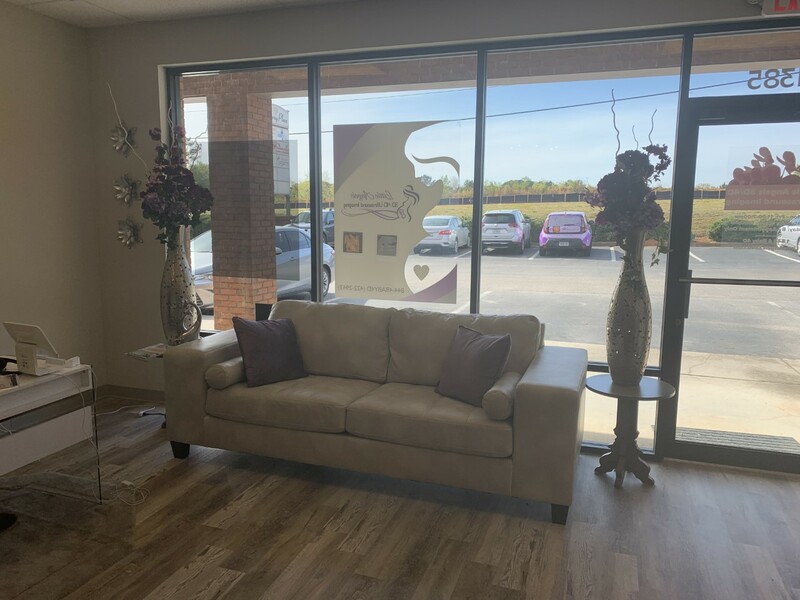 The viewing area can hold approximately 30 people and is equipped with a dual plasma screen TV so family and friends may view your live session in a separate area. All of our sonographers are medical ultrasound technicians with extensive experience in performing obstetrics ultrasound exams. The GE ultrasound technology provides a three dimensional real-time “live action” view of your baby. 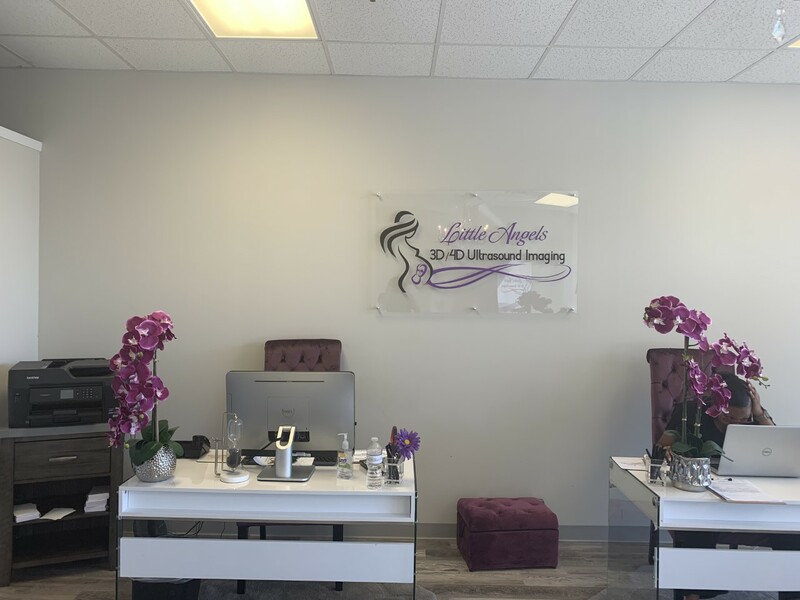 It features advanced signal processing, which produces higher-quality ultrasound images and is the ultrasound machine used in every Little Angels 3D/4D viewing. In addition to a studio location. Little Angels 3D/4D will come to you. We serve the McDonough and metro Atlanta area. 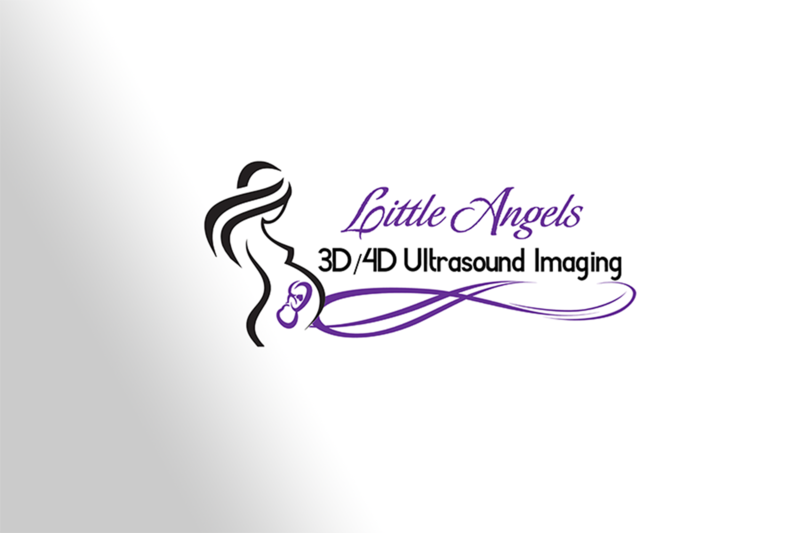 Little Angels 3D/4D provides state of the art HD Ultrasound technology while giving your family the best possible experience in the comfort of your own home. 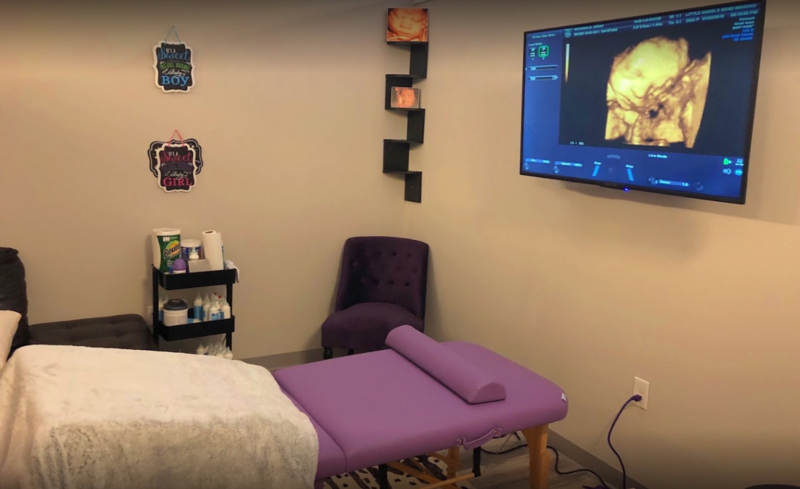 Whether you want to find out your baby's gender, hear their heartbeat, or experience seeing your baby with our 3D/4D HD live technology, we're here to help you have a peek at your little one while feeling comfortable and relaxed in your organic home setting. 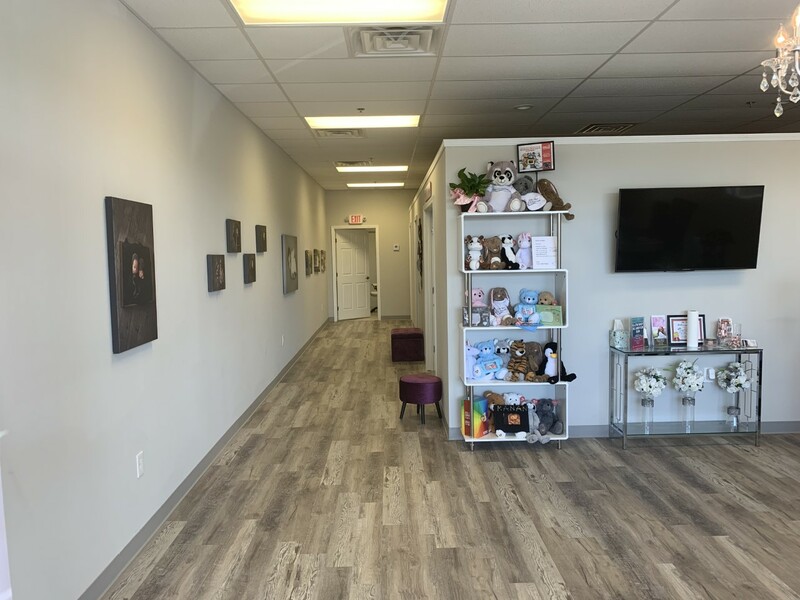 Please note that our elective 3D ultrasounds and 4D ultrasounds can only be performed on pregnant women who are under the care of a health care provider and have already had a diagnostic ultrasound. Please read and sign form. Required before appointment. Little Angel’s 3D/4D Ultrasound Imaging is not licensed to practice medicine. Images are not taken for purposes of diagnosing any medical disease or condition. If any medical concerns or issues exist, the client and family should immediately contact a Licensed medical doctor or go the nearest emergency room.